Proof of Purchase - There are a lot of places to purchase books (included one big online retailer), and we must be able to tell that the book was purchased at our store. Please consider setting up a frequent buyer account so that all your purchases at Roundabout will be recorded in our system and we can easily find that you purchased a book without a receipt. If you do not want to setup a store account, please make sure to keep a copy of your receipt with your purchases so that you can return it with ease. 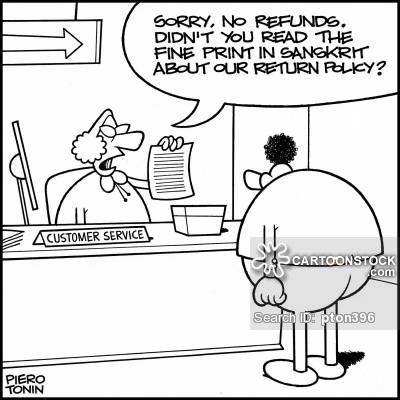 Returned Date Within 2 Weeks - Sometimes it is hard to tell if a book was read, and we ask for you to return books within two weeks of purchase. We only sell new books, and books that have been sitting around for a while can start to look used if they've been thumbed through or have a lot of fingerprints. **We do give an extension for Holiday shopping. If your book was purchased at any time during the month of December, it can be returned anytime in January as long as the other conditions are met.